It’s bad enough that L’Oreal just assumed that women would buy their cosmetics because of Patent Pending stamp (they won’t), but now I’m seeing those words virtually everywhere I look. It’s kind of like when you buy a new car and think you’re all that and a bag of chips because it’s not really a popular model, and then you look around and you see tons of them, and usually in cooler colors/trim lines than the one you bought. Not that this just happened to me. But whatever. Officially, the term for that type of thing is the Baader-Meinhof Phenomenon. You’re welcome. Unofficially, it’s called “people patent stupid stuff, and the USPTO lets them”. Last Christmas, I gave you my heart bought a puppy. 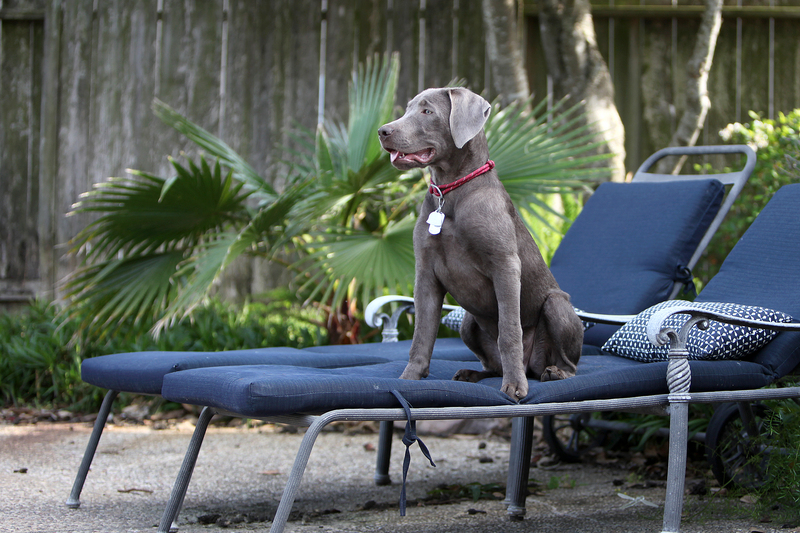 He’s a silver lab, and you can argue all you want that they are or are not an “official” breed but then you can go right ahead and stuff your arguments in a sack, Mister, because I don’t give a rat’s. Robert DeNiro is awesome and I love him. He has two sets of identical plumbing (inside and out, which is super fun to explain to children as we walk him around the neighborhood), an extra vertebrae where his tail connects to his rumpus, and a head that is so huge it almost needs its own zip code. He also has to wear diapers in the house as a result of some other anatomical malformations, and I’m totally fine with the extra $200/month expense because can you even believe how adorable this guy is?? Robert DeNiro, silver lab, at your service. What you are seeing here is a measuring cup with a handle. How, on any planet anywhere, is that patentable? You can’t throw a dead cat without hitting something similar-looking. I mean, honestly. Besides which, dog owners care less about patent pending food scoops than women care about patent pending cosmetics because all we really care about is “will it make me look younger?”, yes or no? That’s not women-bashing is it because OMG do I not want to get on the bad side of either Katy Perry or Taylor Swift. But seriously…I have a dog, I feed it. 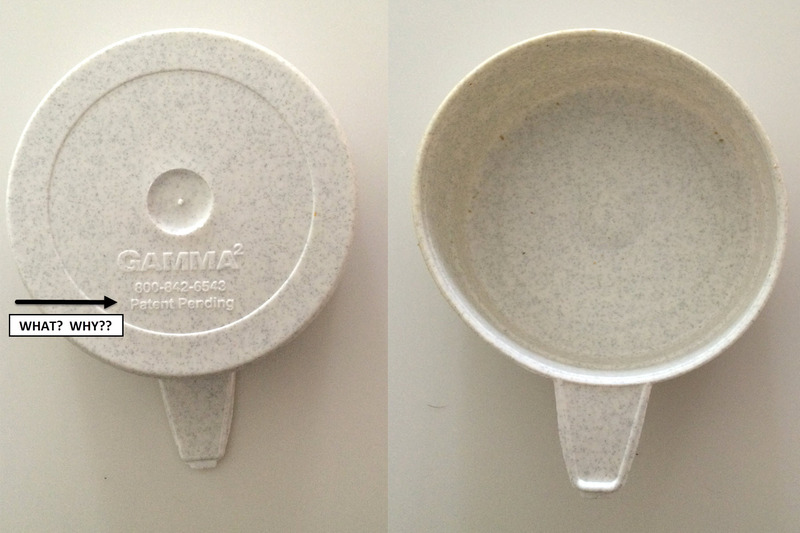 Why does it need a patented scoop from which to have its food dispensed? Which proves unequivocally that the entire patent system is a mess and in need of serious fixing. There. I said it and I’m glad. Remember when we talked about privateering? About how older, establish companies start selling off their near-expiration patents to third party companies who commence to trolling for dollars with them? No? How’s about taking a quick trip down memory lane here. There’s a new character in town, and unlike the adorable emotions in that really cool Pixar movie that totally made me cry because I was also moved across country at the age of 11 and only processed the associated emotions while sitting in a theater of other 40 30-something women trying not to ugly cry in front of their kids, this new character is a hideous, horrible beast wreaking havoc on insurance companies and airlines and financial institutions. And let me just say this: you know I hate patent trolls when I am on the side of an insurance company because I think they are all pretty much the spawn of Satan. Isn’t he cute? He is. The company? Not so much. They’ve filed over 50 lawsuits since being assigned two patents from Xerox on May 4. Which is really and truly my birthday so not only May the Fourth be with me, but May Xerox Be Damned For Privateering. You know that Quarterly Troll Report I do, the links to previous issues of which are off to the right in the side bar? The one for Q3 2015 is going out the first week of August and Loramax LLC is the “Troll of the Quarter”. Boy, has it been interesting reading up on them. And by interesting I mean I had to wash my eyes out with soap after reading about how blatantly they’re abusing sad, old patents. 2/ A company set up to act as a cover for large corporations who try to breathe new life into older patents which they would ordinarily let expire but, as a result of greed and/or pressure from Wall Street, have decided are ripe for assertion or litigation. With the advent of the personal home computer and printers and email, it’s much less applicable in 2015. It’s just sad that a once-great company with a name synonymous with “photo copying” has gone the Lora(ma)x route. 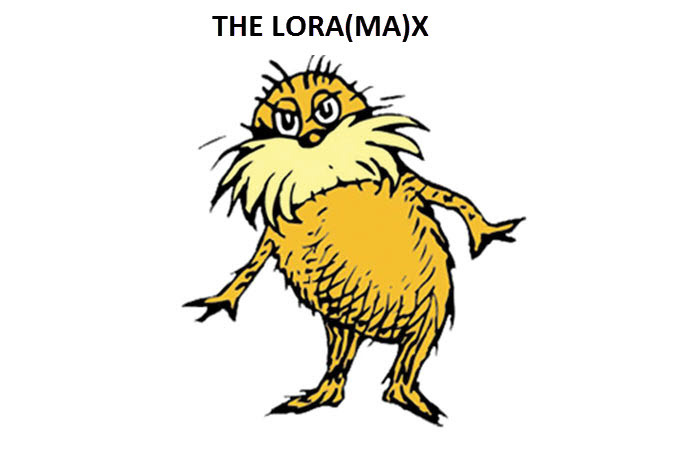 Which is kind of ironic, because The Lorax is about conservation and keeping the earth from being depleted. I guess in a way, Xerox is doing just that: preventing its financial coffers from being depleted by abusing the patent system. Timing, as they say, is everything. 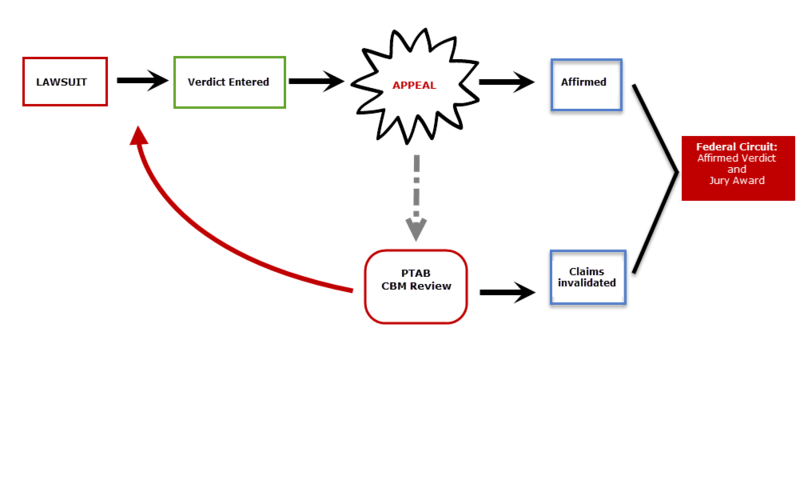 Following the CBM (covered business methods) challenge between Versata and SAP and their trial verdict is like watching Memento. Did this happen? Will it have happened? Did it going to happen? Man, my head’s spinning and it’s not even cocktail hour. 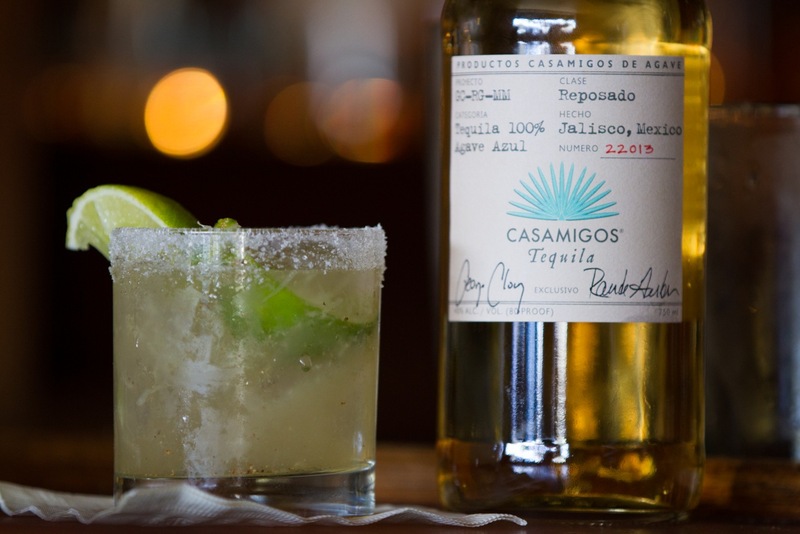 Best tequila ever, no matter what you mix it with. Disclaimer: Will not make you look like Rande Gerber, Cindy Crawford, George Clooney, or Amal Alamuddin. Sorry. Basically what we have here is a patent having been found infringed and then subsequently having been found lacking validity on a few claims. But because of the order of operations, the infringement verdict stuck. Let’s bust out the crayons and draw a picture, shall we? If we take that PTAB challenge and move it back a bit, we are probably golden. Now, I would argue that if you take the challenge back even further to, say, when you receive a demand letter, you’ll have even more success. This is the stick I’ve been saying we should beat trolls with for almost four years now. While they will never tell you what claims you’re infringing, you can do some homework on the patent work and towards IPR or a petition for a covered business method review. Kill the patent before they come after you in earnest. 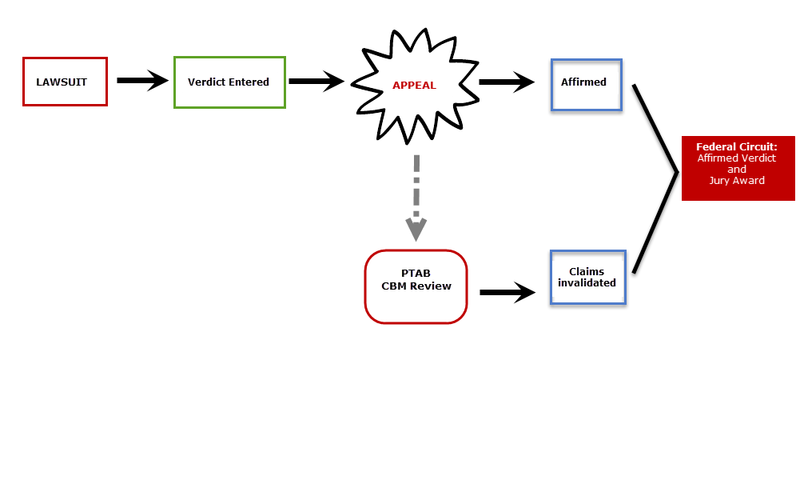 For patent litigation where the district court does not stay the case in favor of an AIA trial, the Versata and Fresenius decisions may mean that depending on the speed of the litigation and the ultimate entry of judgment, a finding of unpatentability in an AIA trial may or may not trump a district court’s finding of patent validity. There’s your way around the PTAB/CBMR: Judges, who are sometimes partial to trolls, rush the cases through and enter the judgement. Then it doesn’t matter if the patent is subsequently invalidated, the judgment will stick. Future litigation with the patent is moot, but that suddenly no longer matters when you’re sitting on $391 Million, now does it? Article One Partners - What's In A Name? Article One Partners - How Do We Defend Against Thee (Part I)? Article One Partners - How Do We Defend Against Thee (Part II)?